Piedmont is the second biggest region of the Italy. The countryside is absolutely lovely, with lots of rivers, including the iconic Po, and countless lakes, particularly the vast Lago Maggiore. The region has remained quite attached to its rural culture and traditions. It is renowned for its quaint vineyards and its delicious local products, such as wine, cheese, and truffles amongst others. 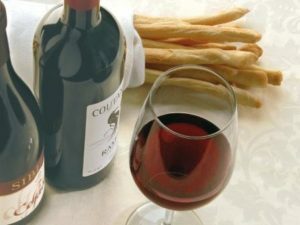 Most wineries are family-run and welcome visitors for tours and tastings in a friendly atmosphere. 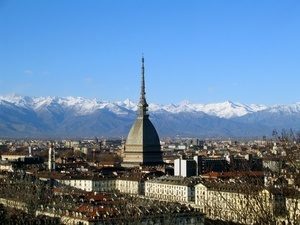 Turin is an important cultural and business centre, enjoying a strategic position in the north-west of Italy. It is the capital of the Piedmont region. The origin of the city can be traced back to the third Century BC, when Celto-Ligurian tribes settled along the Po River. It was then used by the Romans as a military outpost. In the 19th Century, Turin became the capital city of the Kingdom of Italy. Its perpetual development continued with a rapid industrialisation, notably in the automobile industry. Today, Turin is famous for its diverse architecture and animated cultural life. The Palazzo Reale, former Palace of the Royal family with its the Royal Library renowned for hosting Leonardo Da Vinci’s self-portrait, the Palazzo Madama, former seat of the Senate, as well as, the Palazzo Carignago, former seat of the Parliament, are just a few buildings designed in a Baroque style. Turin also has countless fascinating museums. The breath-taking Turin Cathedral is the major Romantic Church of the city. Overlooking the city, the Basilica of Superga provides a magical view of Turin, with the Alps in the background. There lies the tombs of many of the Dukes of Savoy and Kings of Sardinia as well as the Turin Shroud, a centuries old linen cloth bearing the image of a crucified man, believed to be Jesus by many. The old medieval district, the Quadrilatero Romano, has been recently refurbished and is now well-known for its bars and authentic artisanal shops, which give a real taste of the Piedmont lifestyle. The San Salvario district, south east of the city centre has a lovely park, the Parco del Valentino, with a splendid 17th Century castle standing in its heart (Castello del Valentino). Turin is a highly industrial city, and particularly this is where the famous FIAT Company has its headquarters. Only 50 kilometres south of Turin, in the heart of the Piedmont’s vineyards, Bra is the city of the Slow Food Movement which promotes traditional and regional cuisine and encourages sustainable farming. The world’s first University of Gastronomic Sciences’ main campus is located in Bra. The town is a gastronomy lover’s heaven! 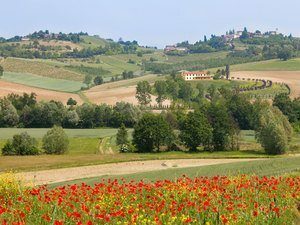 Ideally located in the heart of the Piedmont vineyards, Alba is famous for its wines, including Barbera, Dolcetto, Nebbiolo, Barbaresco, Barolo and Moscato, its white truffles as well as its annual truffle festival. The seat of the confectionery group Ferrero is also based in Alba, and Nutella was invented here after the Second World War. The Gran Paradiso National Park is a protected area north-west from Turin. It was created in order to preserve the ecosystems of the areas around the Gran Paradiso massif. A wide range of excursions and activities are available, including walking, cycling, climbing or even skiing.